The upcoming Samsung’s Gear smartwatch could be named as Samsung Galaxy Watch. There were so many rumors that the upcoming Samsung Gear S4 will be launched by the end of this year. 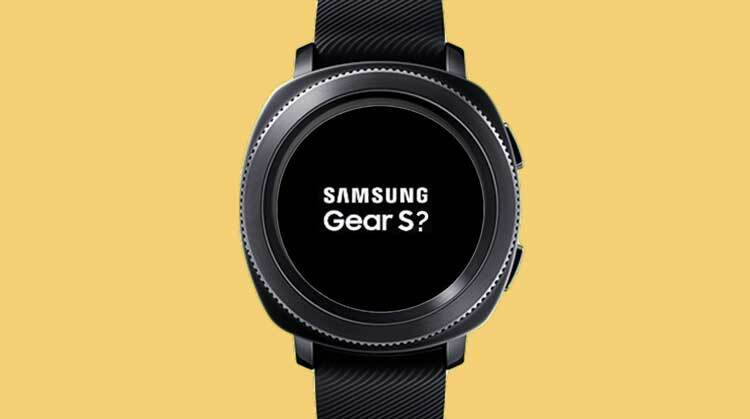 But now the reports leaked out that the Gear S4 could be named officially as Samsung Galaxy Watch. According to Ice Universe and SamMobile, the Gear S4 could be branded as Galaxy Watch. The logo and brand name was spotted in South Korea. The reports say that the Samsung Galaxy Watch could come with Bixby assistant feature. But the most important thing is that this wearable will run on Wear OS. The Wear OS (formerly known as Android Wear) provided by Google Android. The South Korean tech-giant company is bringing its wearables closer to the flagship segment. As per SamMobile, the company should launch the Galaxy Watch with Tizen OS. Because if the device supports Bixby Assistant then it could run on Tizen OS. Otherwise, Wear OS is featured with Google Assistant. The Samsung Galaxy Watch will come with a new design, a larger battery, and possibly heart rate sensor and blood pressure tracker. There is no information about the specifications and other features. The expected price is still unknown. The Samsung Galaxy Watch is expected to launch with Samsung Galaxy S10 this year. However, the Galaxy Note 9 will launch on August 9. So, maybe the smartwatch will launch with Note 9. That’s a mystery right now. The IFA 2018 is also on its way and will be held from August 31 to September 5 in Berlin.